"It is not just their rich palette of tone colours that marks them out, but also the delicious sense of collusion that animates their ensemble playing. From the outset the players gripped the attention with the immediacy and freshness of their expression, and their sensitive balance between sumptuous Romanticism and introspection." "There was an incredible balance and polish to their performance.... Here was an evening of captivating detail and engaging musicianship." 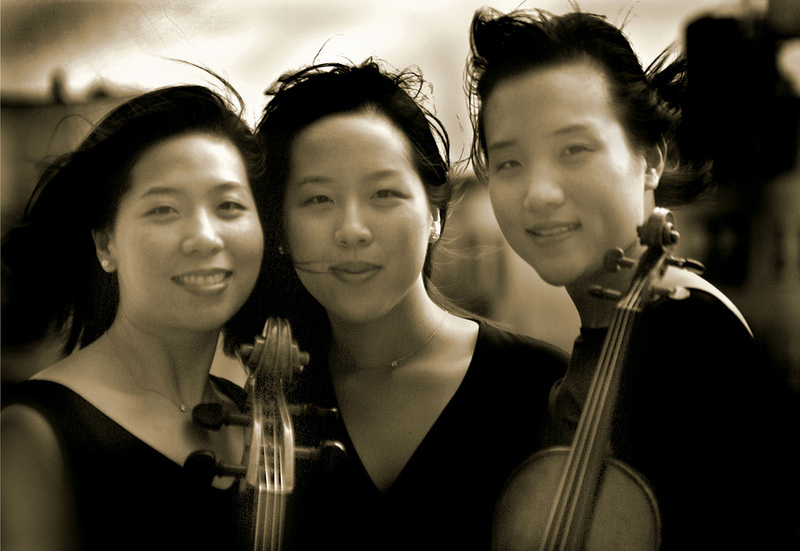 "The Lee sisters used their suave sense of rubato to maximum effect.... Their polish and expressive capacity, in performing the works of such diverse composers, was amazing. Clearly, there was more at work than dexterity; there was brain power coupled with a keen integration of ensemble down to the smallest detail. I'd be hard put to remember any trio who played with such total commitment to the music." "The [Lee] Trio really inhabited every phrase, speaking with conviction and flair." "A unique phenomenon when Angela, Lisa and Melinda Lee combine their talents. All three sisters are dazzling musicians." "The energy flowed freely between the audience and the artists.... On this evening, it became clear again how multi-layered and fascinating music can be when it is played by such first-class musicians as The Lee Trio." "The three sisters played with a maturity and musical insight rarely found in artists twice their ages. There was a wonderful freshness about their approach - the music was made to seem newly discovered and a cause for general delight." 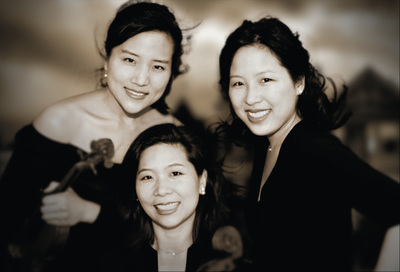 "Phenomenal performance of the 3 Lee sisters, individually extraordinary musicians on piano, cello and violin and making pure musical magic as a trio..."
"The Lee Trio brought courage to the melody, flair for the virtuosity, depth [to the] works....This evening stood out as one of the most memorable of the Mendelssohn Festival."